Oklahoma Connection | Fry organized The Kiltie Band in 1923 in Oklahoma City, Oklahoma. Everette Fry organized his all-girl drill team after his all-male drill team lost to an all-girl drill team at the national championships in 1923. After a few months of practice, he entered the girls in the very next national championship competition and won first place. Captain Everette Green Fry was born in Missouri and raised on a farm. He came to Oklahoma City and opened Fry Bros. Furniture and Hardware Company on California Avenue. 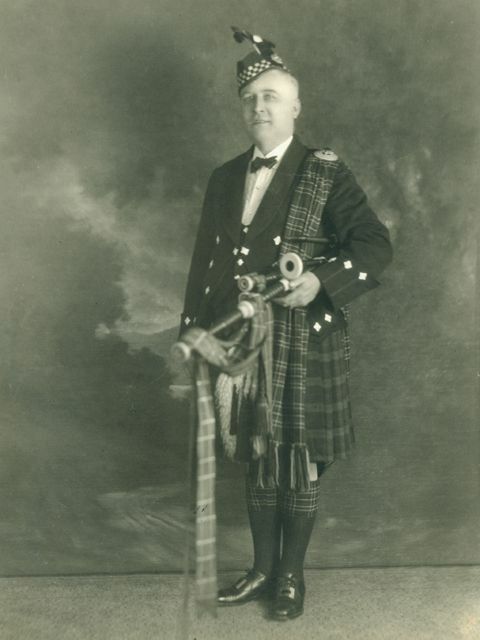 He organized the Kiltie band, a team of girls who averaged in age from 14 to 22, marched in intricate drill patterns, and was accompanied by music on bagpipes, hornpipes, glockenspiels and drums. Captain Fry and his wife served as chaperones and coordinators as the team became famous while traveling to every large city in the U.S. and Canada. By 1952, the team was sponsored by American Legion Post 35 and attended nearly 100 public appearances every year as well as aiding the chamber of commerce in good-will tours across Oklahoma.